This month we visit the sounds rocking dancefloors across the globe with DJs from Tropical Temple and live percussion from Wicked Aura. 5 artists from Taiwan and Singapore let loose on the graffiti wall. The beers are cold and the vibe is chilled! 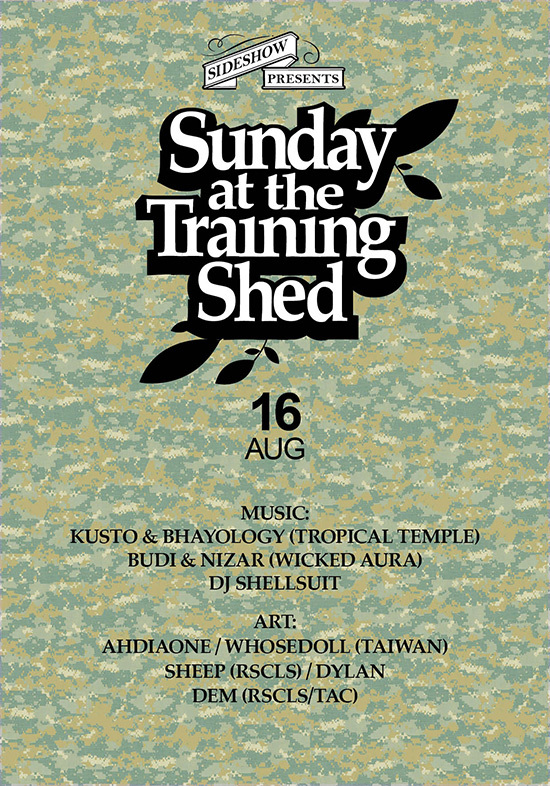 Sunday at the Training Shed is free and dog and kid-friendly. Please support the artists, organisers and venue by purchasing food and drinks only from the official Training Shed bar.